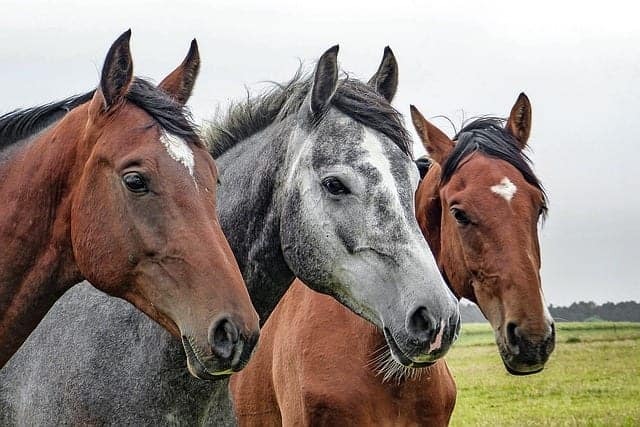 For an equine enthusiast, there are horse terms that we say that can really have others scratching their heads if they’re not familiar with the equine world. I’m sure you can think of several just off the top of your head, right? Yes, a groom can be a man who is walking down the aisle. But for us, it means a person who dedicates their time working hard to care for horses. For the average non-horse person, this would naturally just mean the hands on someone’s body with 5 fingers attached to it. For us, it’s a term of measurement a person uses to describe the height of a horse. 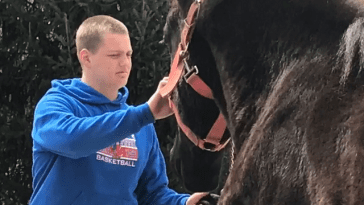 The width of a hand is typically four inches, making a “hand” a four inch measurement used to determine how many “hands” a horse is from the point on their body in which the back and the neck meet, i.e. the withers. The withers, really, are that spot between where their shoulder blades would meet. But you already knew that, equine enthusiast! Common Horse Fact: In the equine world, an animal measuring 14.2 hands at the withers and under is a pony. 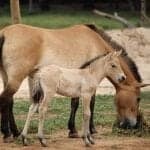 Any equine measuring more than 14.2 is a horse. Many of us know that a river will crest or that to crest is similar to summit. A “crest” in horse terminology refers to the top of a horse’s neck where their mane grows. 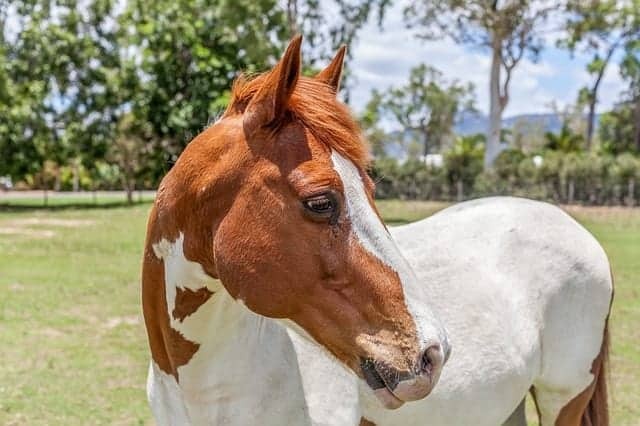 Most people say “paint” when they are referring to the act of painting, but we say it to refer to those beautifully splashed paint horses that we admire. An American Paint Horse is one of the most easily recognized breeds based just off first glance. Want to learn more about these splashed beauties? 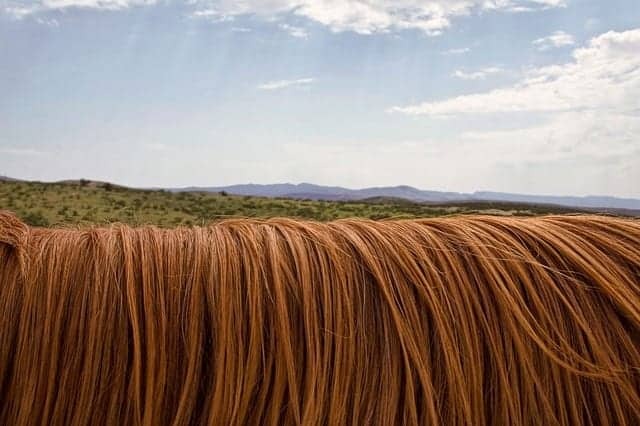 Check out our fun facts article on the Paint Horse breed here. Not to be confused with the standard breakroom work bulletin board, tack is simply what horses wear when a human rides them. 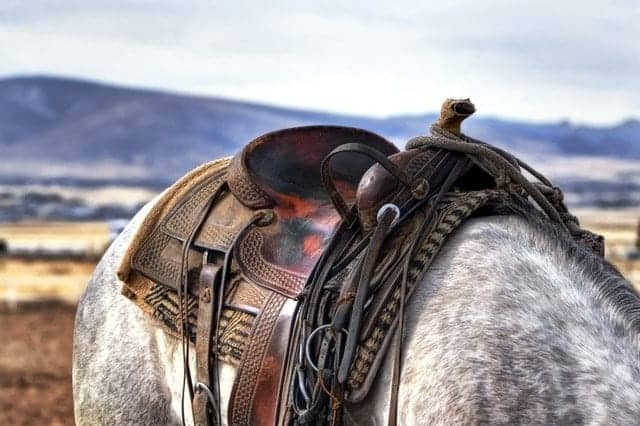 Bridles and saddles are considered to be a part of horse’s “tack”…and as many horse people know, we horse enthusiasts spend a pretty penny on this sort of stuff! For example, you aren’t going to find a saddle for less than $500, and if you did, it would be of poor quality and not one you’d want to buy. Try explaining that to your non-horse friends next time they complain about the price of their cat’s bed. This is usually a medical term used to describe the seal-like barking cough that a young child will get. 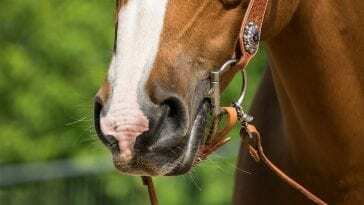 But in the horse world, croup is the term used to describe the topline of a horse’s hindquarters. Nope, not talking about corn here! 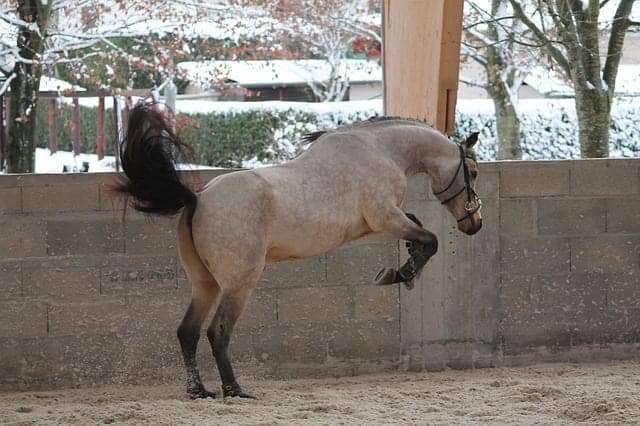 For a horse person, a cob is a term that is used to describe a stockier horse or pony that is stout with shorter legs. 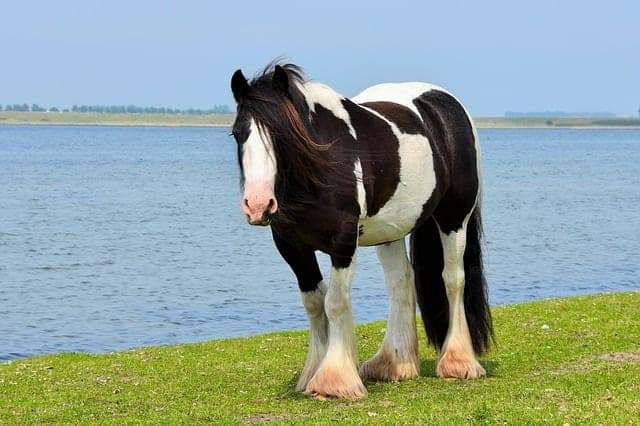 The Irish Cob is a famous cob that comes to mind that many people recognize on sight. If you meet a king, this would be a proper way to address them. But a sire for us horse people is the proper horse term for referring to a horse’s baby daddy. But don’t feel the need to address them as such, horses don’t seem to mind casual banter. 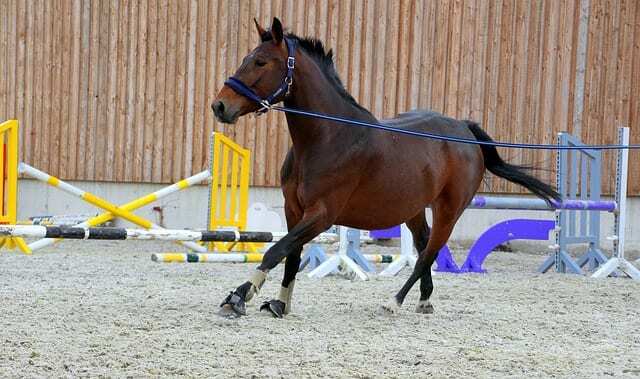 Not to be confused with the exercise move or the act of thrusting or jumping forward, if someone is “lunging” a horse, this is their way of saying that that their exercising their horse. Horse owners lunge their horse to teach them manners, train them, and build trust. It’s an important and necessary exercise for any horse and their handler. Ribbit, ribbit to non-horse people. But to us, a frog is the word to describe the dense shock supporting system that is triangular shaped and located underneath a horse’s hoof. We all know women carry purses on them–and many are downright obsessed with having the nicest ones. But when it comes to horses, a purse refers to the prize winnings a horse’s owner would win should their horse take first place in a race. That sounds more like the purse I would want! 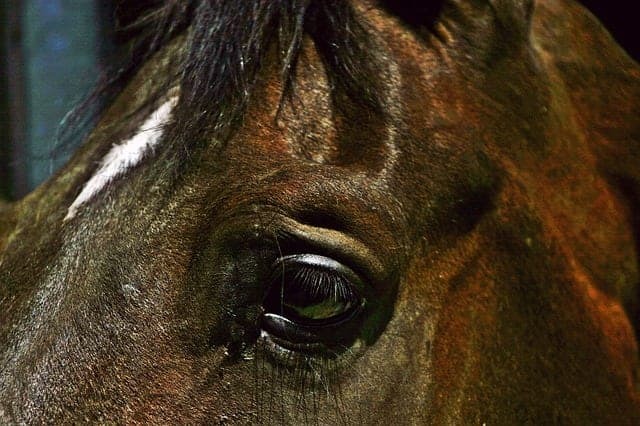 Although we all admire those beautiful twinkling lights in the night’s sky, to us equine enthusiasts, a star references the small white marking on a horse’s forehead. Summertime means halter tops and tank tops, right? 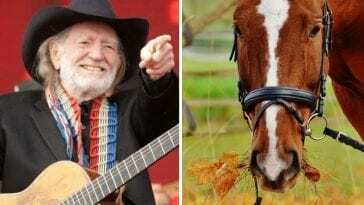 Well, in the horse world, when we hear the word we know that it’s the the leather strap that’s used to guide a horse. A halter for a horse can also be made of rope or synthetic webbing. It can sometimes be confused with a bridle which is another piece of headgear that a horse would wear. The primary difference between a halter and a bridle is that a halter is used by a handler on the ground to lead or tie up an animal, but a bridle is generally used by a person who is riding or driving an animal that has been trained in this use. A horse that is green is not always a good thing, much different than the non-horse lingo for the color word. 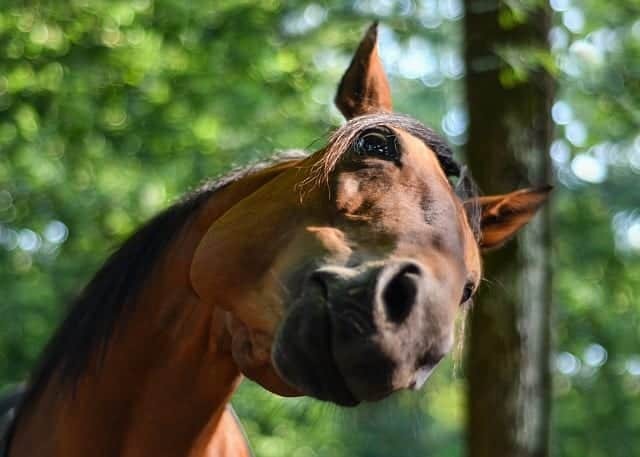 If a horse is labeled as “green” this means that they are inexperienced in terms of horseback riding and the person who plans to ride them better proceed with caution. Don’t forget to share this with the people in your life who could learn a thing or two about horses!